I hope everyone is having a wonderful start to their week. I just wanted to let you know of some new additions to my etsy shop. I have been busy! Hopefully there will be more to come in February! Have fun looking! UP DATE: Some the these SOLD (owls and woodland creatures) just as soon as I posted them. 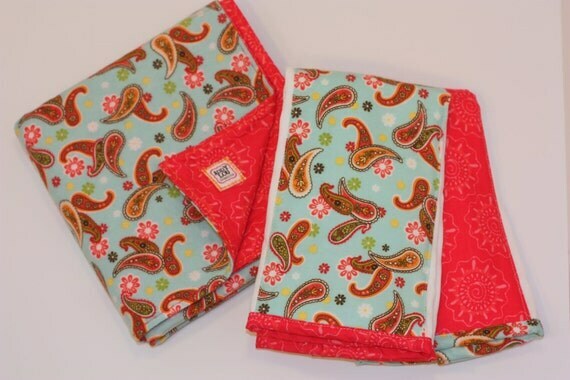 :) I do have the burp rags in the patterns though, if you are wanting them. 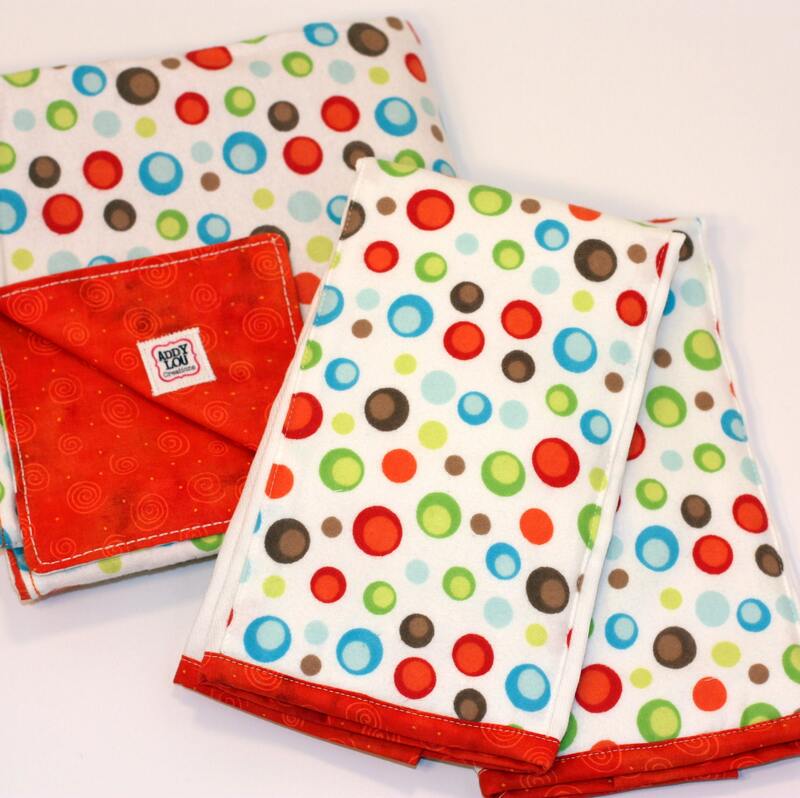 If you are in need of something for some one who is expecting or for yourself....blankets, burp cloths, bibs, bags etc., but need it in a theme - Let me know and I would be happy to see what I can do for you. A Mommy, Daddy and Baby Gift! My really good friend Jana and her husband Kent are getting ready to have a baby! I am super excited for them. Their shower was a few weeks ago. Miss E and I had a wonderful time. I showed you here that I had some fabric and ribbon, and a some ideas for it. Well here is what I came up with. I loved how it all turned out! I hope they did too! Diaper clutch with enough room for a med sized package of wipes and 3-4 diapers depending on the size. I also added....A package of diapers, a sleeper outfit and pacifiers. And yes it all fit into that bag with room to spare! I can't wait for their little bundle of joy to arrive! Jana & Kent may your little family continue to be blessed! Love you both! Finally!! I have my Esty shop, AddyLou Creations up and running. (Long awaited, I know!) Right now there are just blanket and burp rag combos. Soon I should have some bags, bibs and burpies as well to post for purchase. Enjoy looking around!